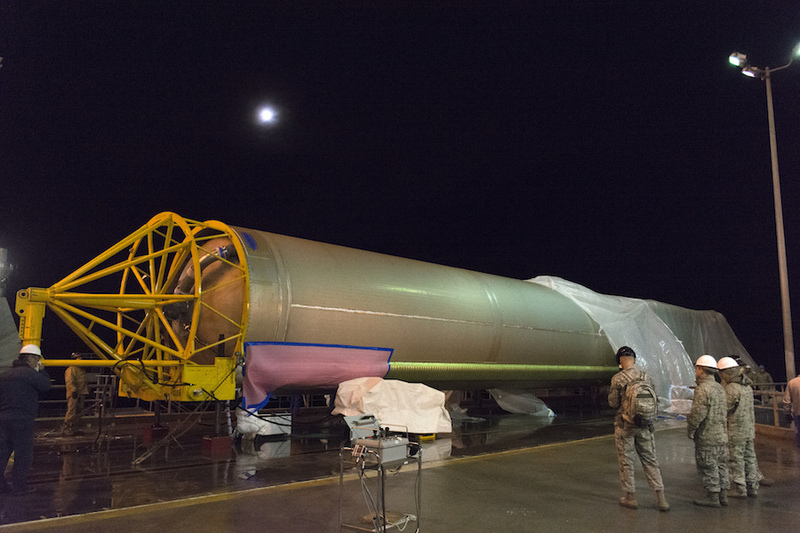 Ground crews at Vandenberg Air Force Base in California raised a United Launch Alliance Atlas 5 rocket on its launch pad earlier this month in preparation for liftoff May 5 with NASA’s InSight lander heading to Mars. 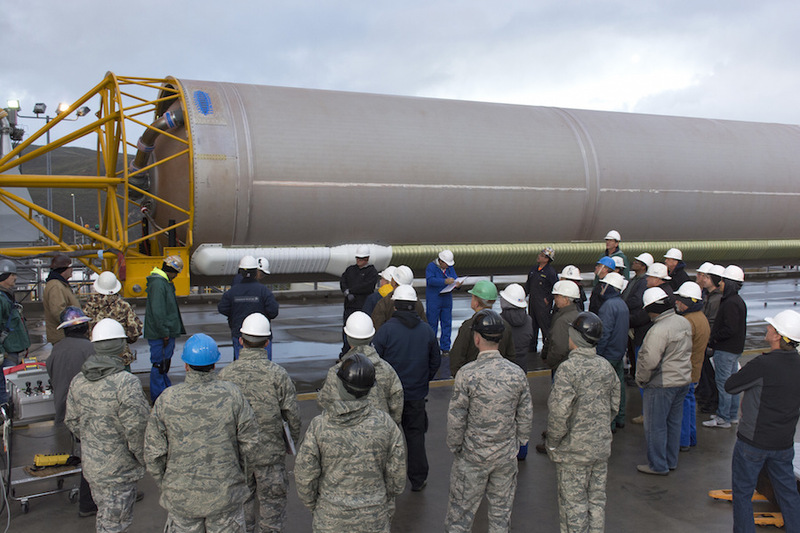 The two-stage rocket was assembled in three pieces, beginning with the stacking of the Atlas 5’s first stage booster March 3 at Space Launch Complex 3-East. 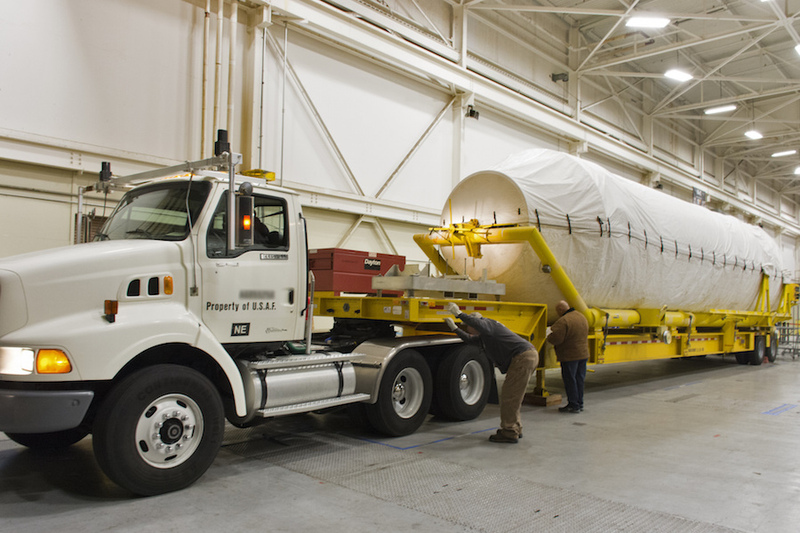 The first stage’s RD-180 main engine will burn a mixture of kerosene and liquid oxygen to send the InSight spacecraft out of the Earth’s atmosphere during the first four minutes of the flight. 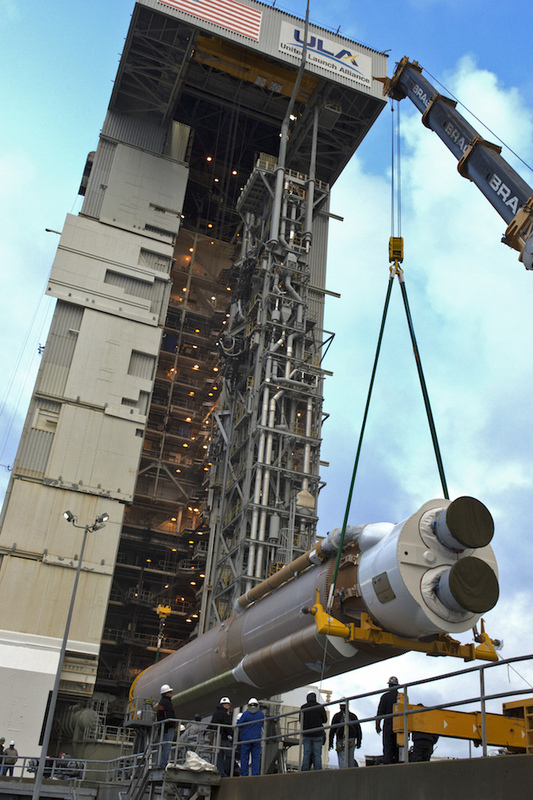 The Atlas 5’s Centaur upper stage, powered by an Aerojet Rocketdyne RL10 engine, was installed on top of the first stage March 6. 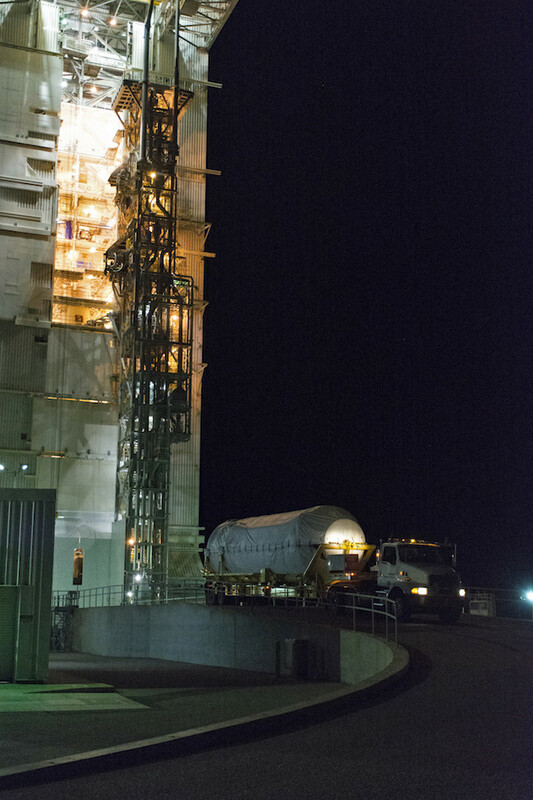 The Centaur engine, consuming liquid hydrogen and liquid oxygen, will dispatch the InSight probe with enough velocity to escape Earth’s gravity and head for Mars. 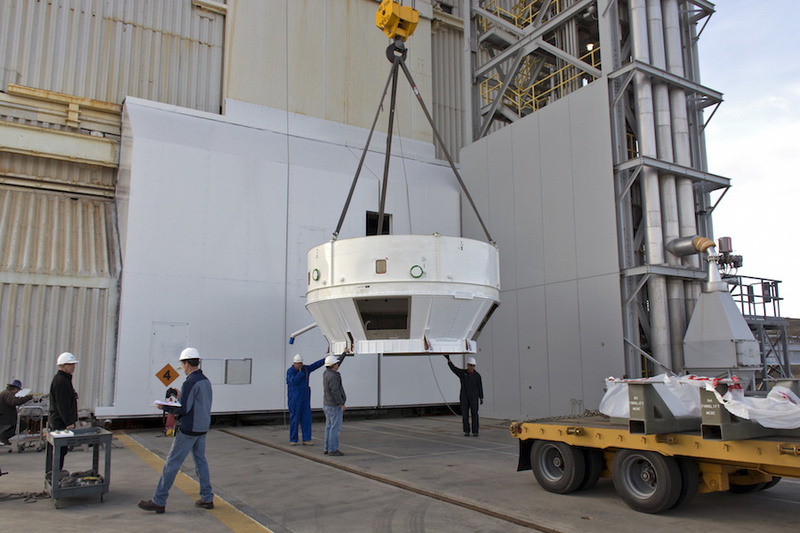 Two days later, on March 8, a boattail structure was added to the top of the Centaur stage. 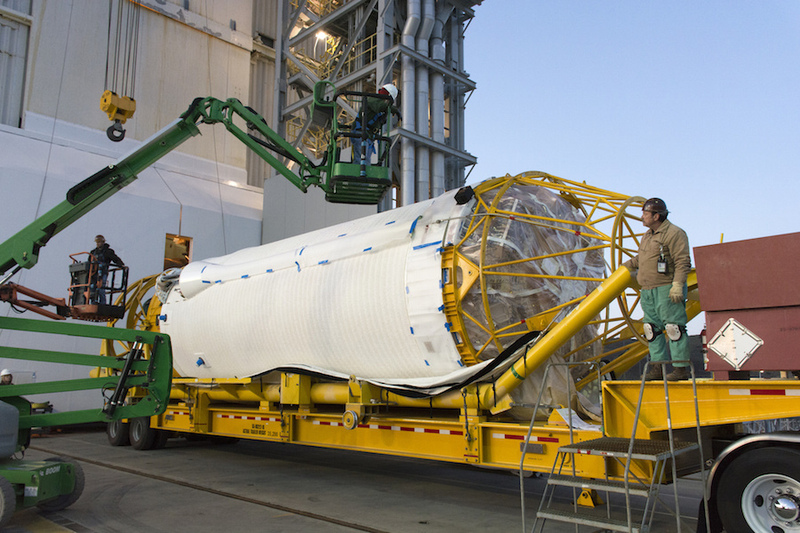 The boattail provides an aerodynamic and structural connection between the Centaur and the Atlas 5’s payload fairing, which will be lifted on top of the rocket with the InSight spacecraft next month. 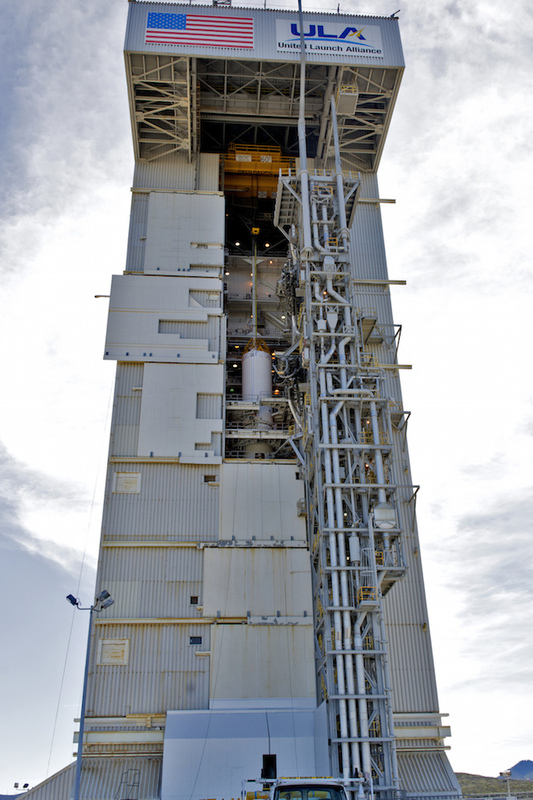 Liftoff is scheduled for May 5 during two-hour launch window that opens at 4:05 a.m. PDT (7:05 a.m. EDT; 1105 GMT). 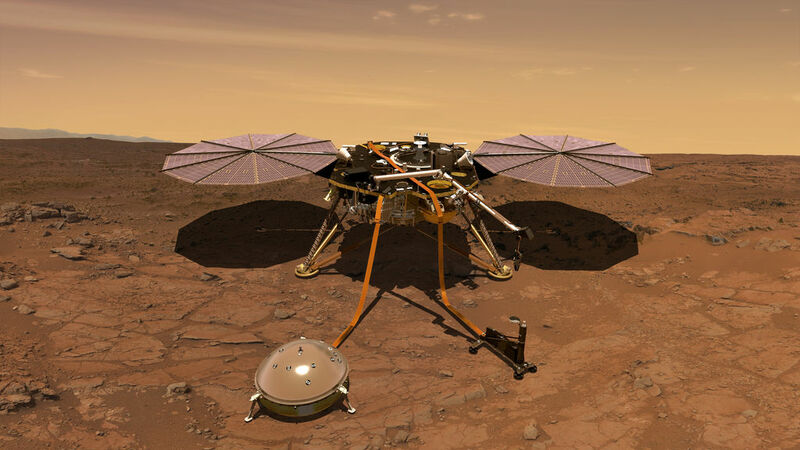 The InSight mission has until June 8 to depart Earth, a month-long period determined by the planetary positions of Earth and Mars in the solar system. 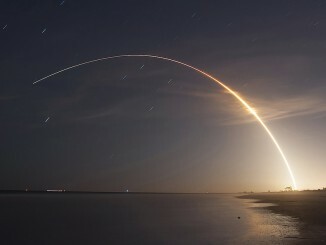 Built by Lockheed Martin, InSight will reach Mars on Nov. 26, using a heat shield, a supersonic parachute and retro-rockets to steer toward a soft touchdown on Elysium Planitia, a broad equatorial plain. 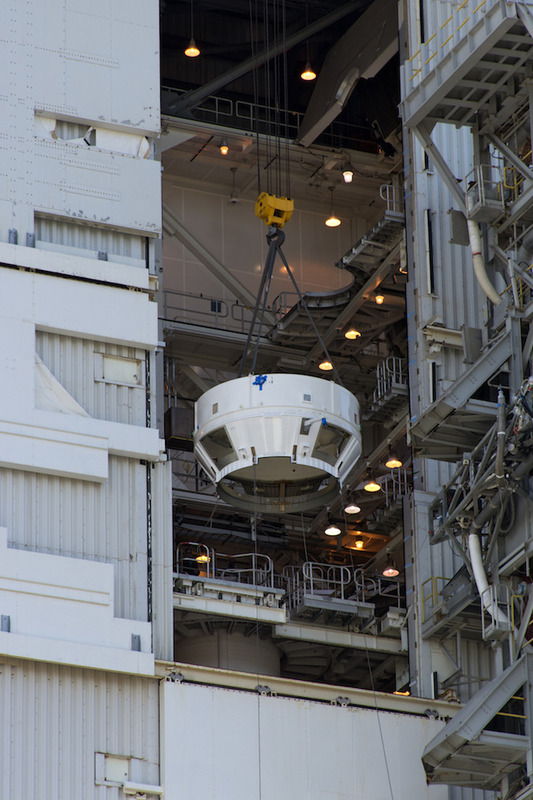 Once on the ground, the lander will survey its surroundings with cameras, then use its robotic arm to place a seismometer instrument on the surface to listen for tremors that could provide clues about the red planet’s deep interior. 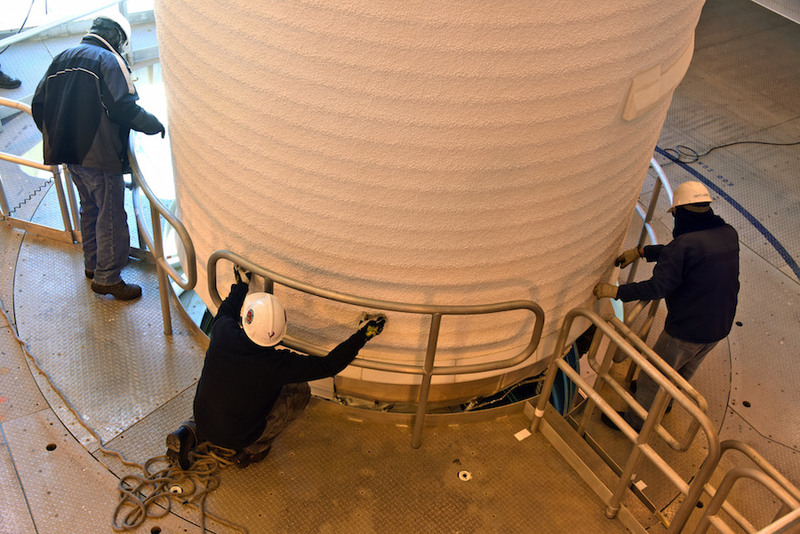 InSight will also drill into the Martian crust to a depth of nearly 16 feet, or 5 meters, to measure the heat coming up from the Martian interior. 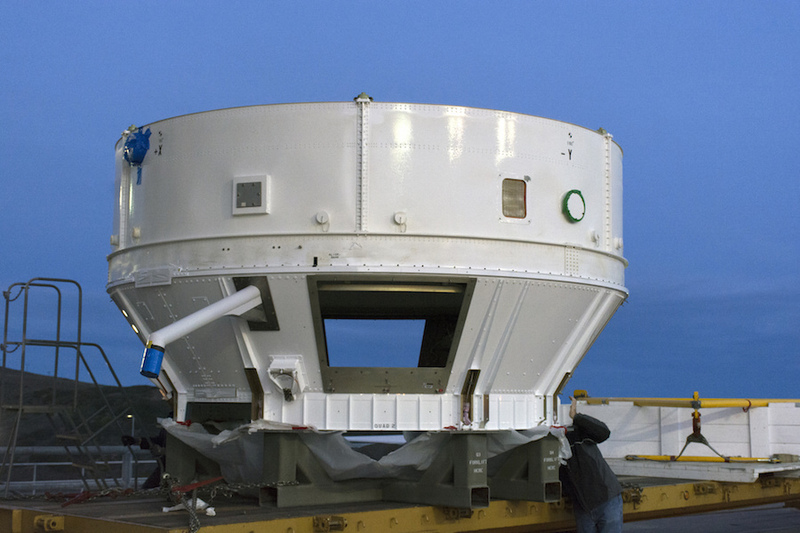 That is deeper than any previous Mars mission has scooped or drilled. 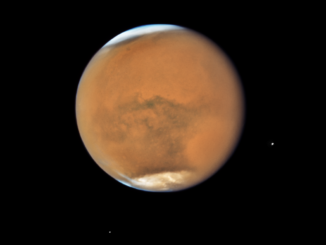 Scientists hope InSight will help them understand how rocky planets like Mars and Earth formed and evolved over the approximately 4.5 billion-year history of the solar system. 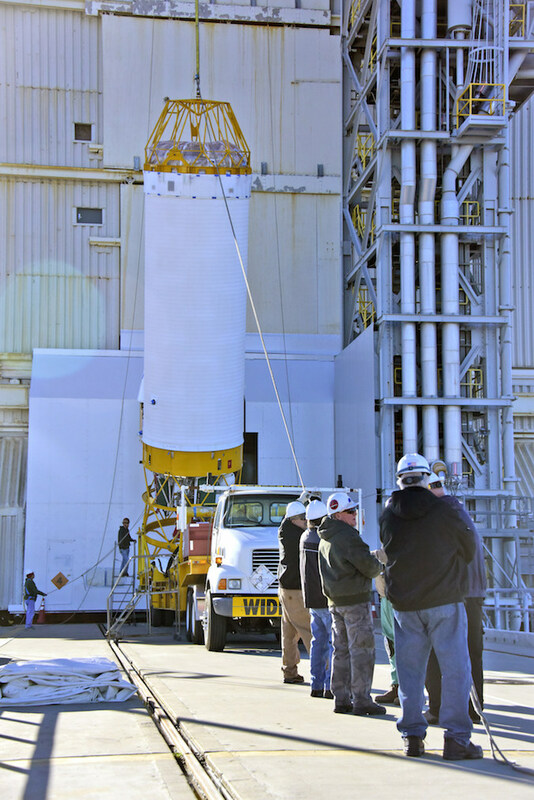 InSight will become the first mission to another planet launched from Vandenberg, the primary launch base on the U.S. West Coast. 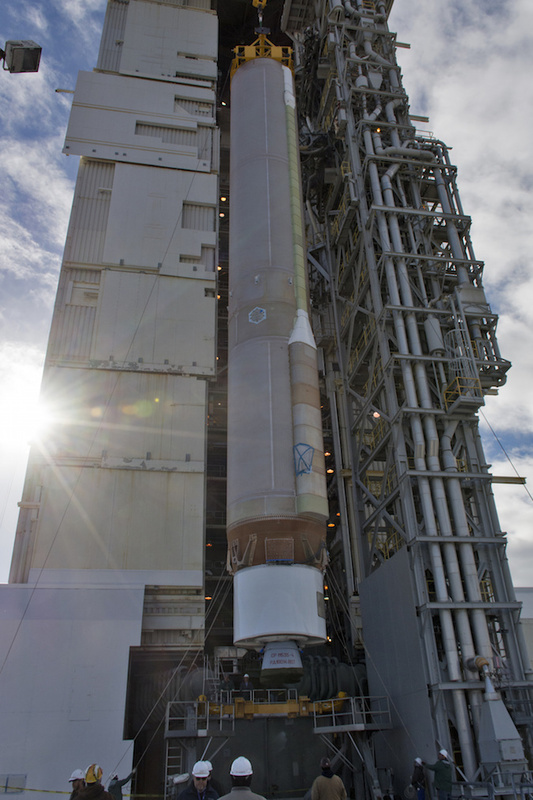 ULA and NASA officials agreed to launch InSight from California to alleviate demands on the launch schedule at Cape Canaveral, where around a half-dozen Atlas 5 missions are planned this year. 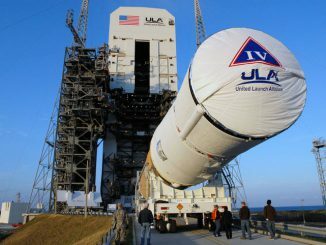 InSight will be the only Atlas 5 launch from Vandenberg in 2018, and the relatively light weight of the spacecraft is well within the Atlas 5’s lift capacity, eliminating the need to receive an extra boost of energy from Earth’s rotation by launching to the east from Florida’s Space Coast. 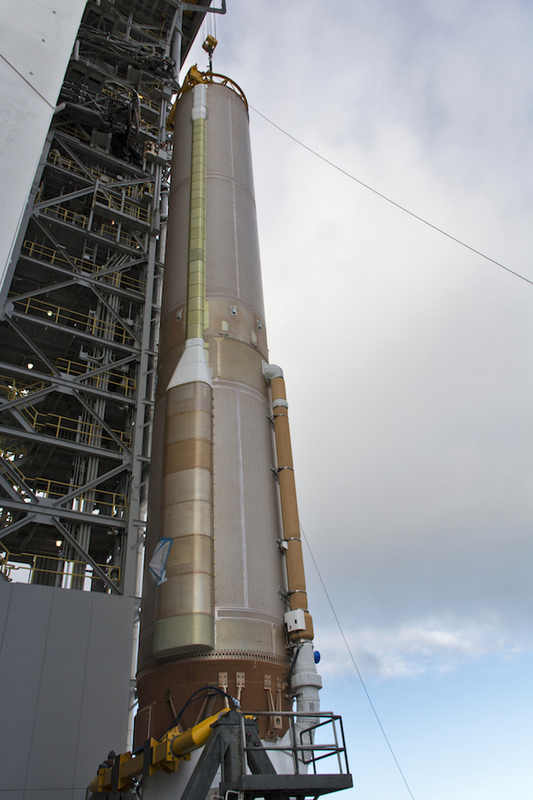 The launch of InSight will be the 78th flight of an Atlas 5 rocket since its debut in August 2002, and the 15th Atlas 5 mission from Vandenberg Air Force Base. 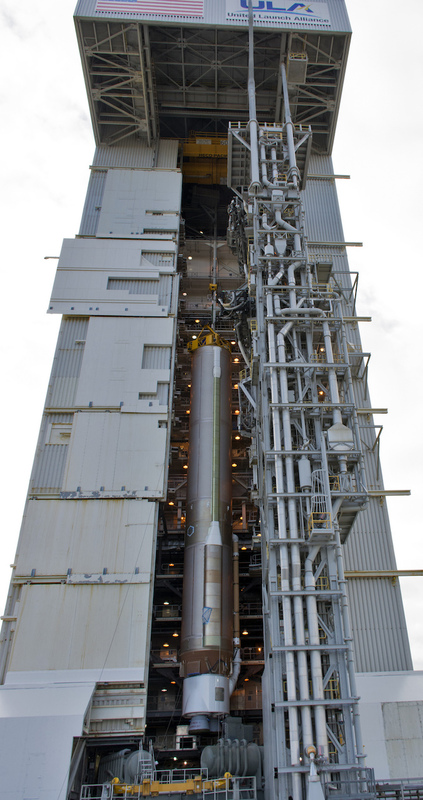 InSight will be the fourth Mars mission to blast off atop an Atlas 5, after successful missions to send the Mars Reconnaissance Orbiter, the Curiosity rover and the MAVEN atmospheric research mission to the red planet. 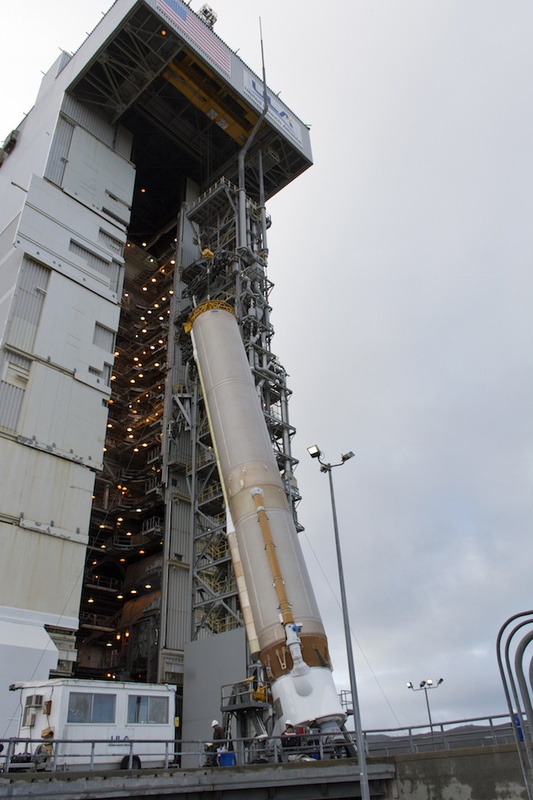 InSight was originally supposed to launch in March 2016, but difficulties developing and testing the lander’s seismometer science instrument prompted officials to keep the mission grounded until 2018. Scientists say the seismometer problem has been resolved.